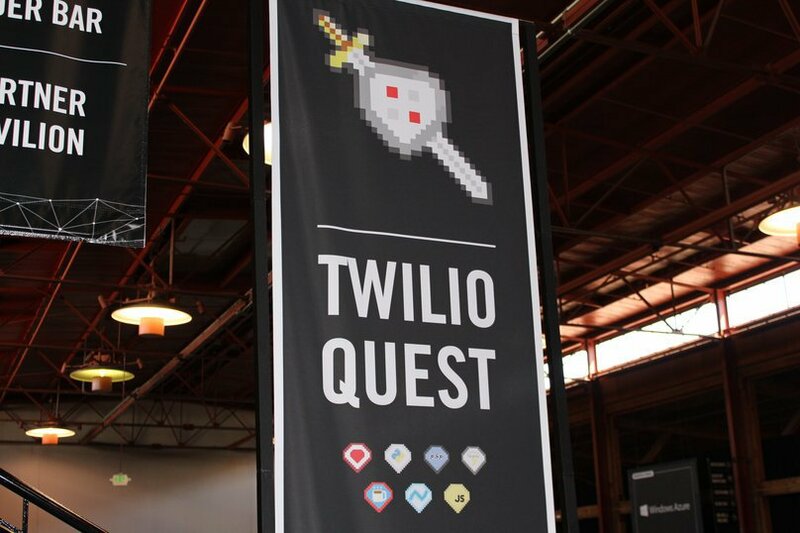 It’s hard to believe that five years have gone by since the very first TwilioQuest hackers joined us for TwilioCon 3 in San Francisco. In those days, you had to join us in person to play TwilioQuest. Today, you can play TwilioQuest whenever you want - and we can think of no better way to celebrate five years of TwilioQuest than doing just that. It wouldn’t be much of a quest, though, if there wasn’t some rad loot to be won. To that end, we’re bringing back our Hack for Hamilton competition, where you can win tickets for you and a guest to be in the room where it happens in New York, Chicago, or Charlotte. To be eligible to win, you must playing TwilioQuest between now and 3pm Pacific time on Monday, October 29th. Sign Up for the Twilio for Salesforce Preview! The crew at Twilio.org have noticed that nonprofits and social enterprises are growing ever more serious about data collection, measurement, and engagement with beneficiaries and donors. One of the most common tools we see organizations employing in those pursuits is Salesforce. 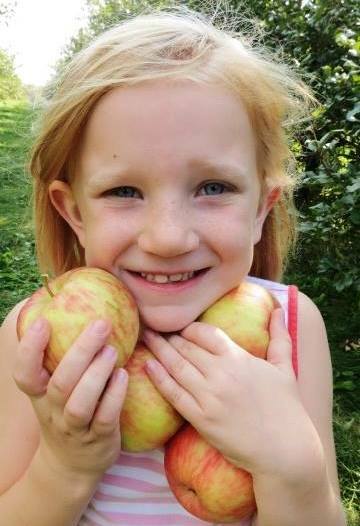 With support from Salesforce.org, it’s no surprise that over 32,000 nonprofit organizations are using Salesforce to power mission-critical workflows. We decided it’s high time that Twilio provided first-class support for the administrators and developers building on the Salesforce platform. Today, we’d like to invite you to sign up for access to a preview release of Twilio for Salesforce, a managed package for Twilio DOers in the Salesforce community. Do you work for a nonprofit or social enterprise? Sign up with Twilio.org for free API credits and discount pricing to increase your impact through effective communication. SMS messages are opened 98% of the time within minutes of being received. When you need to reach your constituents quickly and consistently, there’s no better medium than SMS. 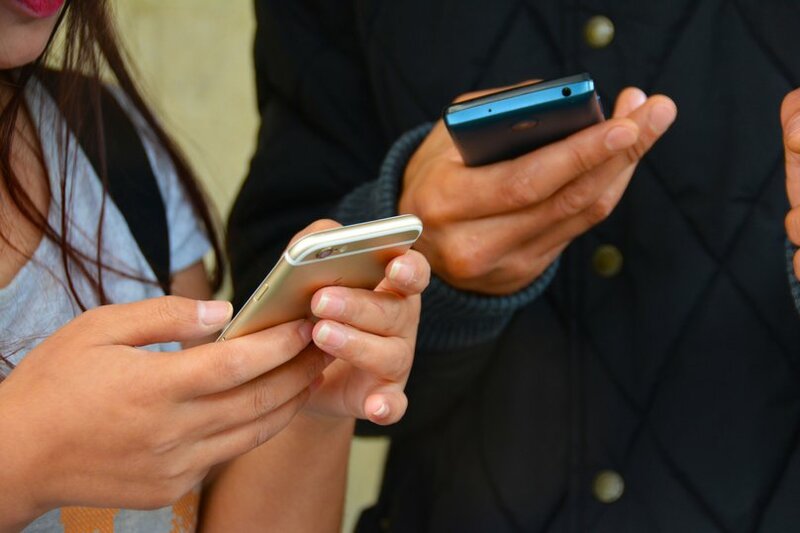 Imagine having a magic phone number your organization’s members, volunteers, or donors could text in to, signing up for timely SMS updates from organizers. Imagine being an organizer with the ability to reach all your subscribers, at once, from anywhere via SMS. Could that help your organization move faster or engage with your community more effectively? Today, we’re launching a new documentation format called Guides aimed squarely at those two truths. 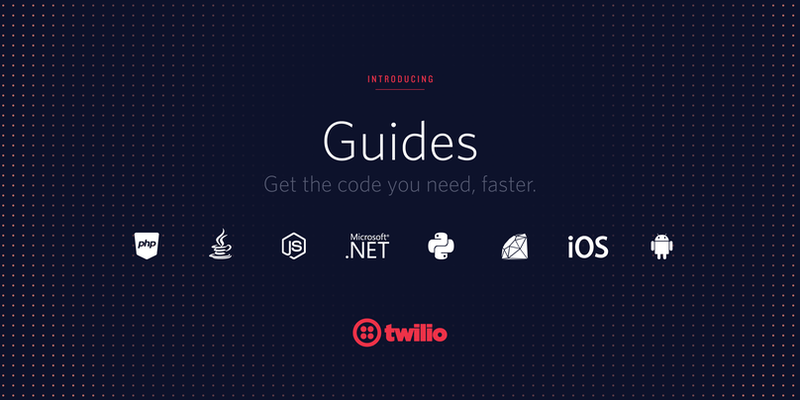 Guides are digestible instruction for Twilio APIs on how to do common things with the haste demanded by the modern programmer. Along with this new content, you might also notice a few design upgrades in service of putting code first in your documentation. Want to track a conversation between two phone numbers in Ruby? Or gather DTMF tones in PHP? Or confirm the delivery of a message in C#? 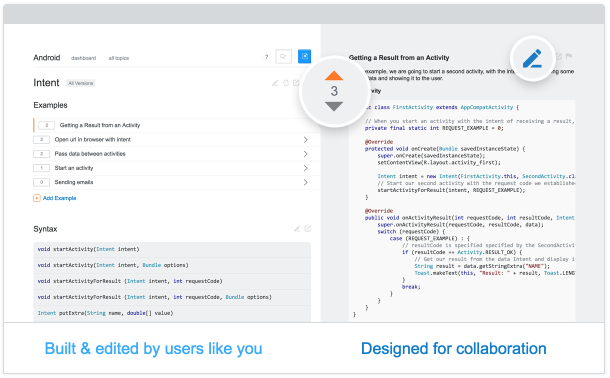 Guides gives you the info to complete a single task with content crafted for speedy consumption. As a developer, you quickly learn that your ability to excel (or maybe function at all) is strongly correlated with your Google-fu. Personally, when working across multiple programming languages and platforms, the exact incantation I need to display a UIAlertController or store an HTTP response in a cache is not found in the 32 kilobytes of RAM between my ears. So I turn to Google to fill in the gaps. And Google, in turn, turns to Stack Overflow. Chances are good that the right Stack Overflow answer will reward me with a chunk of code or a pointer I require to continue with my task. Hey there! This blog post covers an older, pre-release version of the Twilio Video SDK, so the code below likely won’t work anymore. 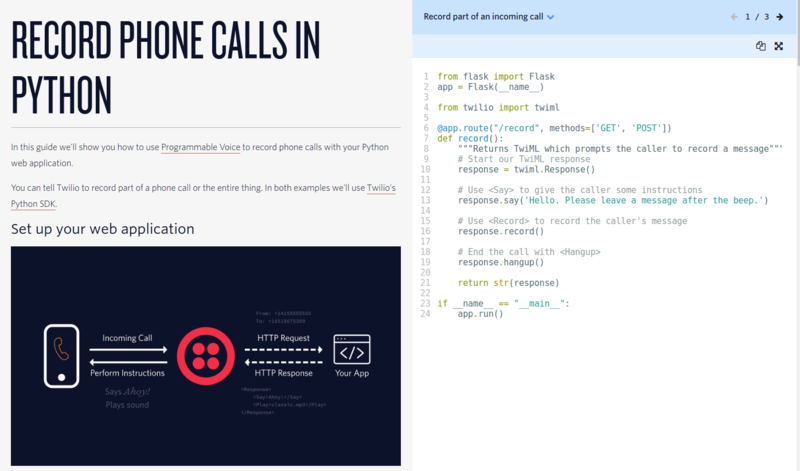 For the very latest, check out the Twilio Video quickstart in the language of your choice. If a picture is worth a thousand words, what is a video worth? A million? More? That’s the question we’ll look for developers like you to answer with Twilio Video, which we’ve released in a limited beta at Signal. Twilio Video makes it easy for you to connect your users by capturing every wave, groan, and belly laugh in a high-quality, peer-to-peer video conversation built on top of standard technologies like WebRTC. 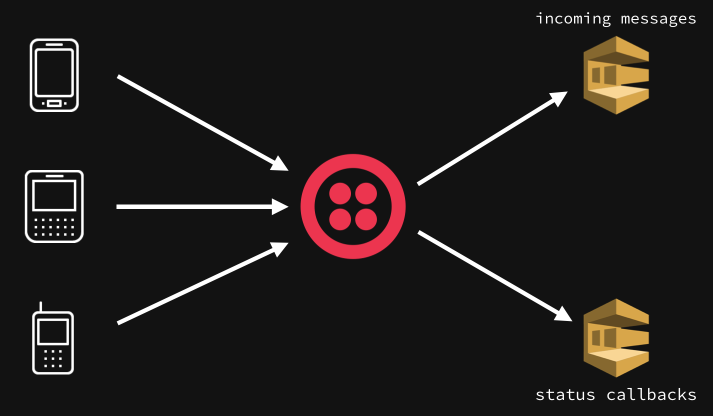 At Twilio we are constantly impressed and inspired by the work you and your fellow developers do to change the way people communicate forever. Now, we’d like to ask you to join us in San Francisco on May 19th and 20th to share your perspective, and learn from your equally incredible colleagues. We recently opened up the Call For Presenters for Signal 2015. We’re already hard at work hand-crafting a conference we would love to attend as developers, but we can’t do it without you! 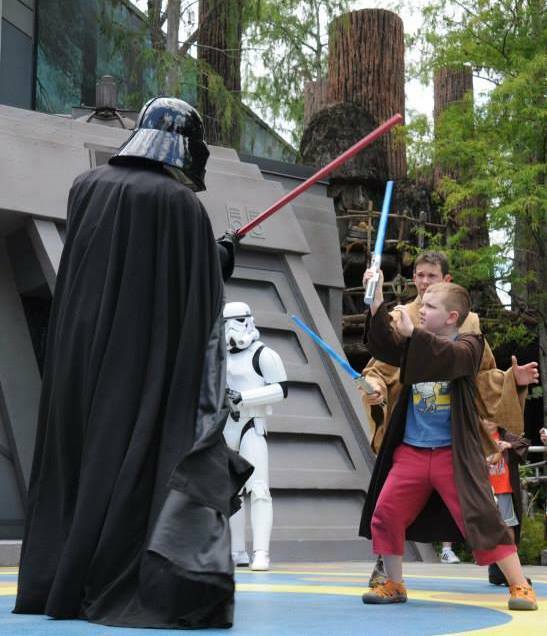 For a while now, I have been told by my nine year old son Emmett (right, dueling Darth Vader) that his social life was suffering because all of his friends at school are playing Minecraft but he wasn’t. 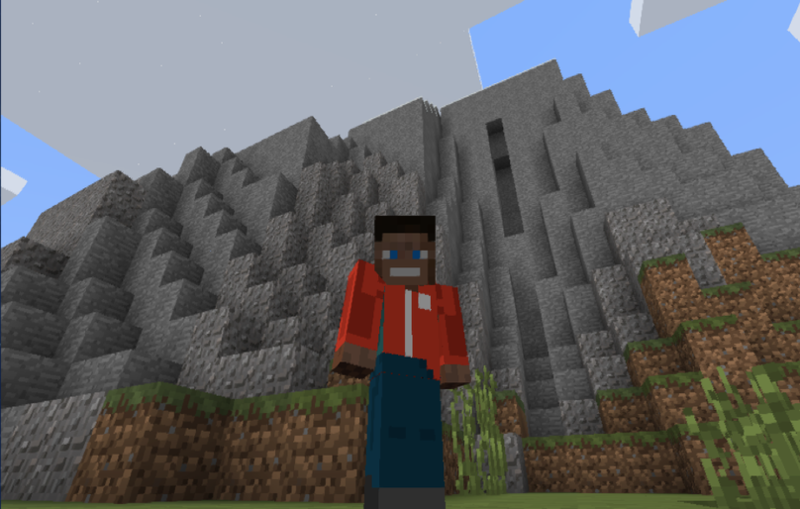 While I was unmoved by Emmett’s peer pressure arguments, I had heard through other sources that Minecraft ends up being a pretty fun and creative game for kids. Further, that it can serve as a catalyst for kids to write their first line of code. For the last century, humanity has maintained that “a picture is worth a thousand words”. While photos may have changed a lot, morphing from paper to pixels, that old adage is truer than ever in the digital age. Whether happy or heartbreaking, the millions of pictures we take every day help us tell our stories like no other medium can. 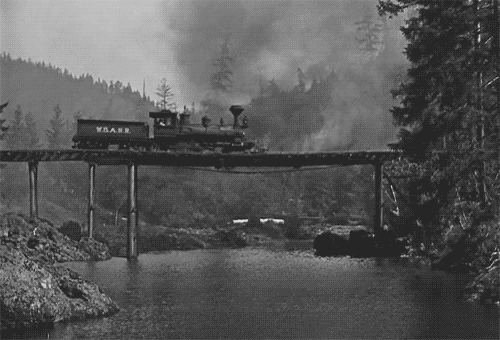 The team at Twilio has been working very hard to bring the power of pictures to our messaging platform. And today, were are thrilled to announce that Picture Messaging has arrived for all US and Canadian numbers, giving you the power to speak a thousand words in a single message.